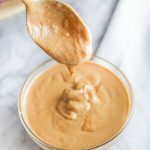 Do you love peanut butter? Do you love Asian-inspired recipes? 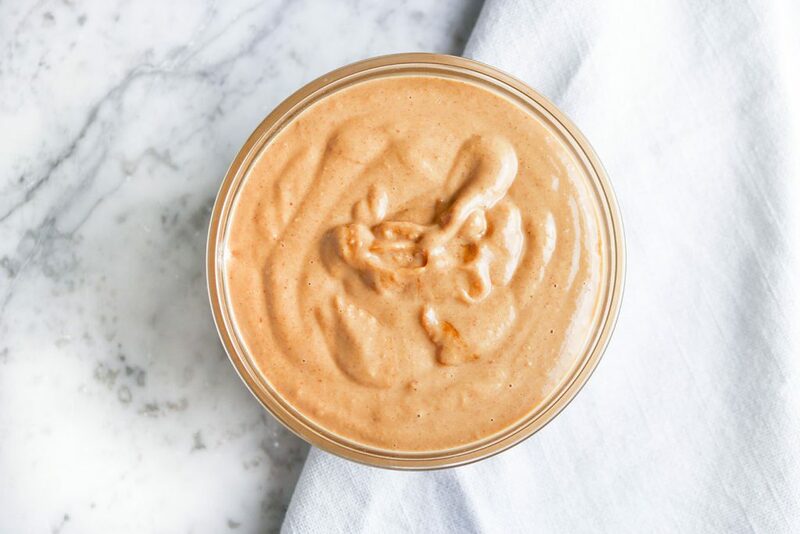 This Spicy Thai Peanut Sauce is for you. It literally tastes good on anything. Seriously. I haven’t tried eating it with cardboard yet, but I am sure it would be delicious. Just kidding – but for real, as good as cardboard could taste – you would experience it with this sauce. I try to eat vegetables as much as possible – but, I don’t always crave raw veggies. 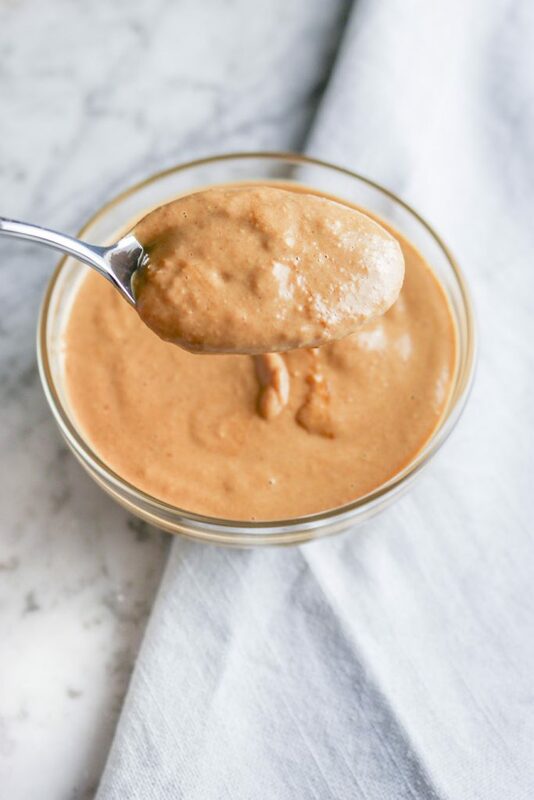 That was until I started making this Spicy Thai Peanut Sauce. Zucchini noodles, shredded carrots, red cabbage, broccoli, cucumbers, red peppers – you name it, this sauce makes it taste even more delicious. 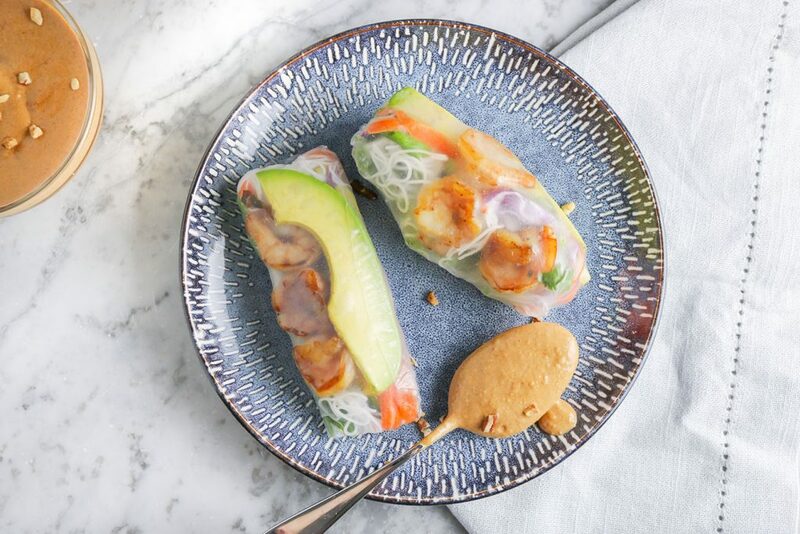 Don’t even get me started on spring / summer rolls. It is da bomb! AND what’s even better? The sauce is actually pretty healthy! 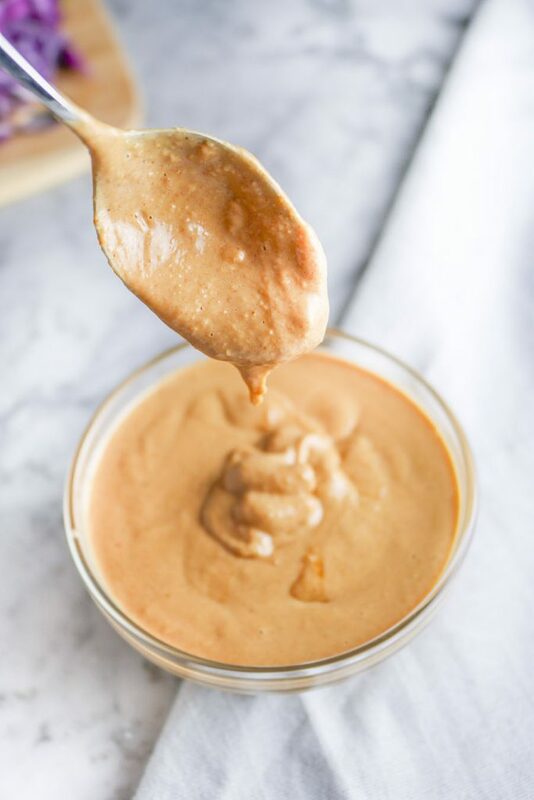 Unlike most sauces or dressings which are heavy in processed oils, this sauce gets its fat content from peanut butter. Yum yum! But it is just so dang good! You just might want to! Try it drizzled over a bed of greens and grains! 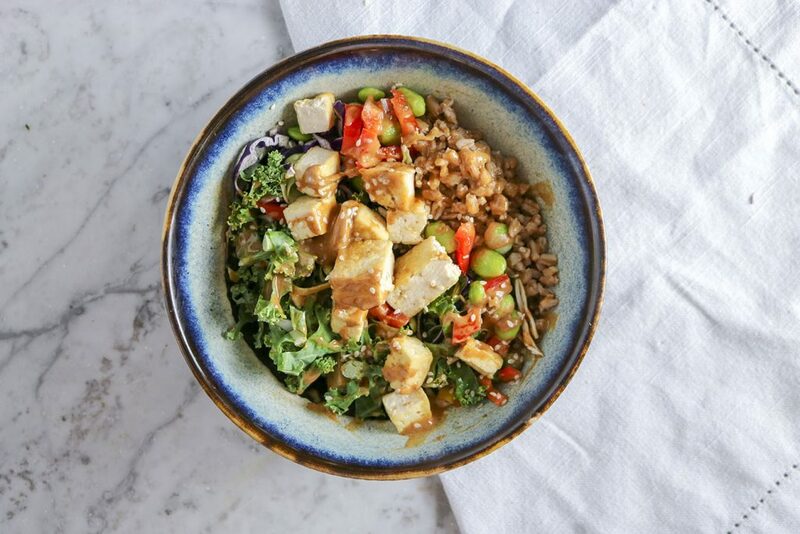 I love this combination of kale, red cabbage, brussel sprouts, red pepper, edamame and farro! 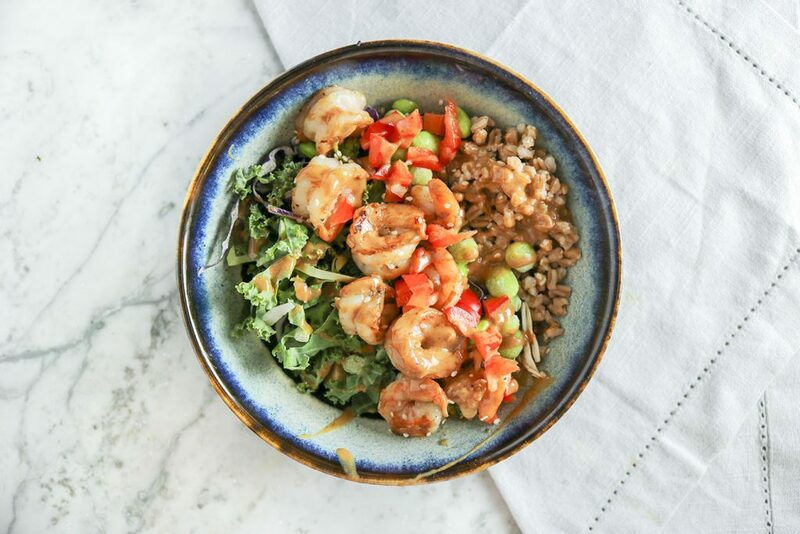 Top with tofu or shrimp – so easy and so delicious! The most incredible sauce you will ever taste. In a food processor or high speed blender, combine all ingredients. Pulse until smooth. Storage: Refrigerate in an airtight container for up to one week.